You can read more about Claus Mattheck here. Embedded Intelligence means greater productivity, connectivity and efficiency. Smarter products and systems for a smarter life. A successful Embedded Intelligence application is one that we don’t even realise is there. There is more to Embedded Intelligence than a sensor with code that processes acquired data. Embedded Intelligence is the ability of a product, process or service to reflect on its own operational performance, usage load or in relation to end-user or environment. e.g. A manufacturing production line that never breaks down, or has no unintended stoppages for whatever reason. 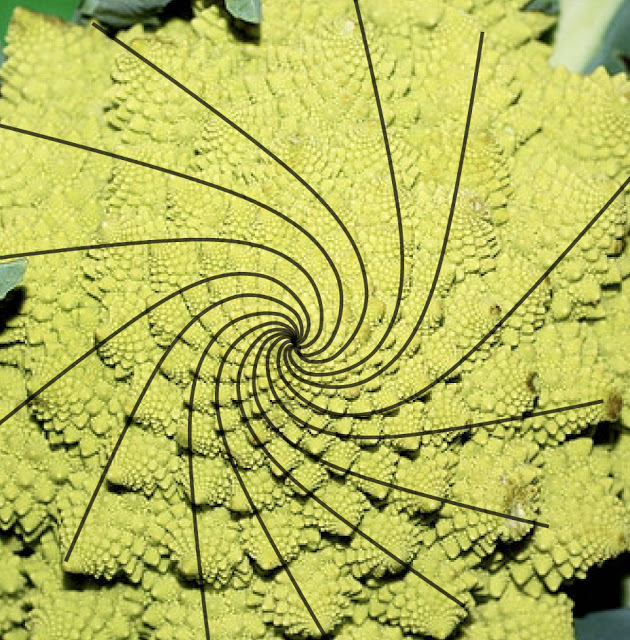 Nature gives us great examples of embedded intelligence in ecosystems and organisms. How demographics regulate in relation to the amount of resources and space available to the population. How we sweat to cool down, or faint when our brain is at risk (and shuts down to avoid any major damage). All these are processes so embedded in our primal brain that we don’t even have to be aware of what’s going on to react that way. Learning from that deep hard-wiring and harnessing the power of the info collection and processing to embedded in our man-made processes open new venues to creating a more intelligent, efficient, safer world. 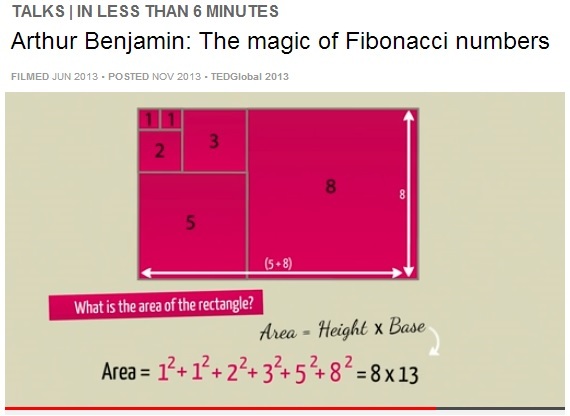 Arthur Benjamin takes us through this inspiring maths class on the wonder of Fibonacci numbers, and how patterns in nature are formed. 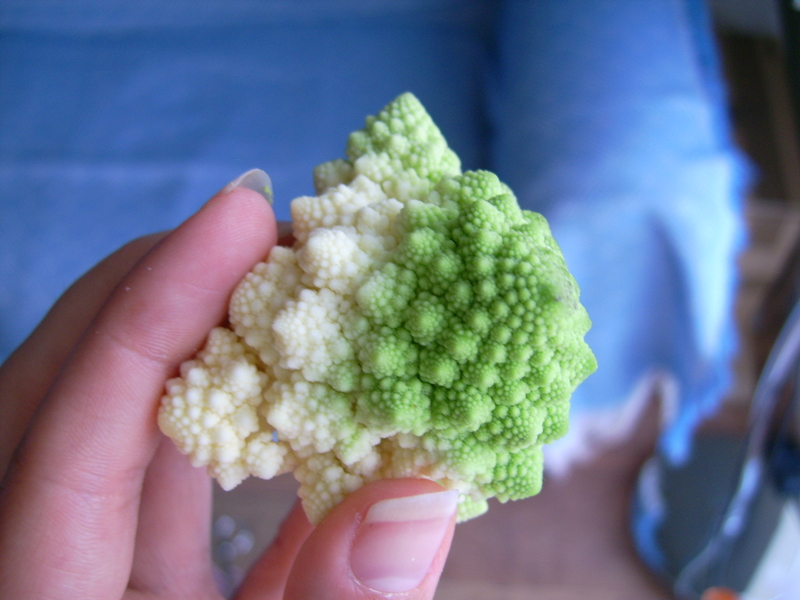 Romanesco has an interesting texture, and it is form that makes it the special member of the broccoli family. 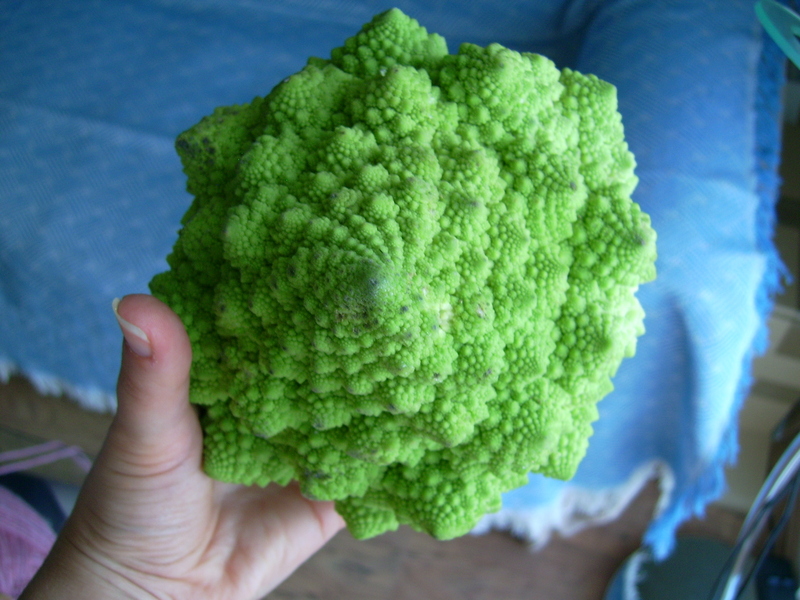 It is a fractal vegetable: the smallest cone is replicated in shape by the cone which groups mini-cones, and this cone is part of a set of cones that forms another cone, … and so on, until you get the whole plant. 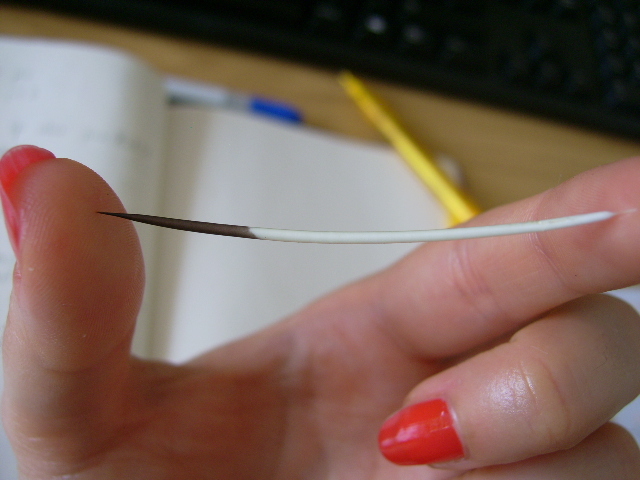 The porcupine quill is a quite interesting material. A pretty large shear modulus, flexible in 3-pt bending tests, but very stiff in the longitudinal direction, which serves well as a defensive weapon. It is surprisingly lightweight, so the first thought is for a sandwich structure of different materials, but what type of structure? The photos below show images of a longitudinal slice of a quill under the optical microscope. As expected, a soft core (cellular-foam like) and a denser ‘skin’. This multiscale ‘skin’ is a good solution for providing stiff properties but not at the expense of heavy, dense materials. Special thanks to Andy Sandaver, who recently retired from the Wolfson School and we already miss his exceptional technical skills. And my gratitude to Edinburgh Zoo, where the samples were collected. We are honoured at the Wolfson School of Mechanical and Manufacturing Engineering to welcome Prof Marc Desmulliez to the School Seminars to talk to us about nature-inspired manufacturing. The general public is fascinated by technologies and products inspired from biology because of the deep links that people have with nature. His talk will present a blueprint for research in manufacturing in this area. Examples from his own research work will be provided that describe the methodology proposed: this includes the use of chlorophyll as an electron donor material for electronics manufacture, the use of Coulombic forces for creating contoured structures and hollow microstructures, the use of TRIZ to set up a method of capturing the essence of natural manufacturing processes. The seminar will be held on Wednesday, 22nd May at 2.00pm, in T.1.42/43 (Wolfson Building). Everyone is welcome. Professor Marc Desmulliez is a professor of microelectronics at Heriot-Watt University, Edinburgh. He is the Head of the Research Institute in Signals, Sensors and Systems (ISSS), and the Director of the MIcroSystems Engineering Centre (MISEC). He is an electrical engineer/physicist with more than 20 years of experience in optoelectronics, microsystems engineering and advanced manufacturing technologies. 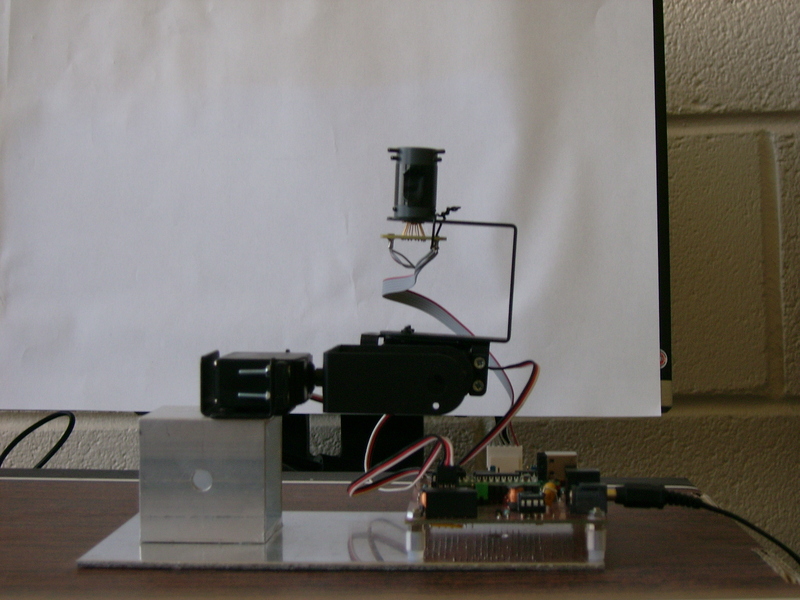 He has worked extensively in the design, manufacture and test of miniaturized sensors and microfluidic systems. He founded the MicroSystems Engineering Centre (MISEC), which is the 4th largest UK academic MEMS research group and specialises in non-silicon microsystems and rapid prototyping of MEMS. Some plants, for example the sunflower, have an extraordinary ability: they can follow the sun during daylight hours to enhance their photosynthesis ratio. This was the idea that inspired us. We wanted to investigate if sunflower-inspired solar trackers would enhance the energy collected by a solar panel during the day. – Heliotropism: plants can control the angle of their leaves relative to the sun, control light absorption, and rate of photosynthesis. [This is different from phototropism, which is their ability to orientate themselves towards the light during growth]. – Heliotropism is not exclusive of sunflowers. Alfalfa, cotton, soybean, bean and lupine also show that feature. The movements of the plant are caused by an organ, the pulvinus, situated at the base of the leaf. It contains motor cells that can change their inner volume by the action of turgot and thus allow the leaf to move. – It is not the sunflower head that moves following the sun, but the leaves!. And the perception of the light is a vector. This means that the leaves are able to sense if the light beams are normal to the lamina of the leaf or oblique to it. They show a 3-axis rotation that allows them to reposition so they remain perpendicular to sunrays at all times. The design and construction of a prototype gave us great insight in order to assess what a sunflower could bring to the design of a solar tracker. The 3-axis rotation and the perception of light as a vector were features incorporated into the design of our mechanical device. The program adjusts the panel so that each photodiode receives the same amount of light. To enable solar tracking ability, Nicolas used a quadrant photodiode with a two-fold purpose: 1) Obtain information about orientation of the light beam (whether this was parallel or not to the optical axis); and 2) to inform the system which direction the device should move to reinstall a parallel position. You can watch the video here: Sunflower-inspired solar tracker. The prototype follows a beam of light moving in an arc above it. The system has proven effective at tracking light and reposition itself in order to stay always aligned with the light vector. This is certainly a great success in the biomimetics front! The International Journal of Design Engineering (IJDE) has just published its Special Issue on Design in Nature. I am very honoured to have my work included there. For this special occasion, i wanted to show-case the developments on a novel manufacturing method for cellular materials with a graded porosity distribution. The motivation for creating a gradient of porosity in materials has been inspired by nature and aspires to mimic natural structures so their intrinsic advantages (e.g., optimised mechanical properties) can be exploited. Many engineering applications (e.g., thermal, acoustics, mechanical, structural and tissue engineering) require porosity tailored structures. However, current manufacturing processes are currently unable to mass-produce these foams. In this work, low power-low frequency ultrasonic irradiation has been used to excite polymeric foaming melts that, once solidified, contained different porosity distributions throughout in their solid matrix. This was possible by controlling the amount of energy imposed on the samples. The generation of porosity gradients that resembles those of natural cellular structures (e.g., bones, stems) opens up new opportunities in the design and manufacture of bio-inspired materials that can solve challenging technological problems. Torres-Sanchez, C. et al. (2011) ‘A novel manufacturing strategy for bio-inspired cellular structures’, Int. J. Design Engineering, Vol. 4, No. 1, pp.5–22. DOI: 10.1504/IJDE.2011.041406. A copy can be found here and here.